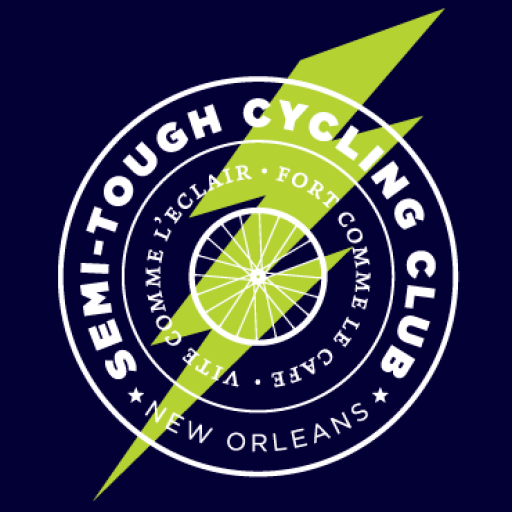 The signature Semi-Tough weekly ride is a defacto tour of New Orleans. Starting with coffee and light snacks at Hey Coffee Co., this ride has all the elements of a classic club ride. 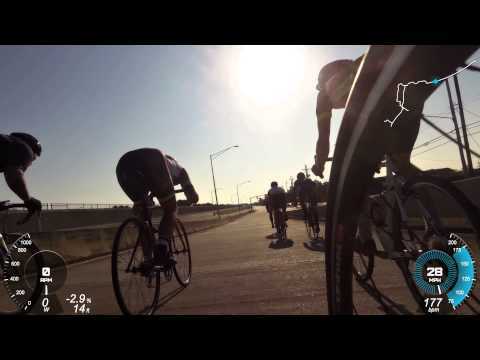 We meet at 7:00 am to share an espresso and some good company, then clip in and ride at 7:30. 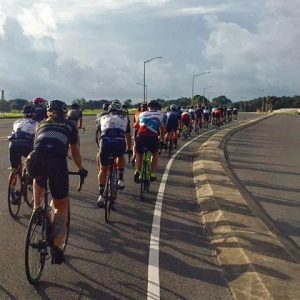 We roll out easy along the Lafitte Greenway and beautiful Esplanade Avenue, then through City Park to the scenic New Orleans lakefront. At the lakefront, the group self-selects into an “A”, “B” and “C” groups for the 12 mile push out along the lake to the end of Hayne Blvd. There are a few good overpasses and bridges (aka, Louisiana Alps) along the way, which usually break the ride into a true lead and chase group. At the end of Hayne we stop for a quick regroup. The 30-mile option turns here for the ride back into town. The longer 60-mile option keeps pushing out east via Chef Menteur Hwy to Hwy 11, and our mid-ride store stop at scenic Irish Bayou. On the way back, we turn off the lakefront at Press Blvd, for a ride through the oak lined streets of Gentilly. After a ride back down Esplanade Ave, we take the pulse of the group and stop for adult recovery beverages at one of several favorite locations. After that, the group splits and heads to our respective homes. For those who live uptown, we finish with a quintessentially New Orleans ride through the bustling Saturday streets of the French Quarter, and then up Magazine St. through the CBD and Lower Garden District.